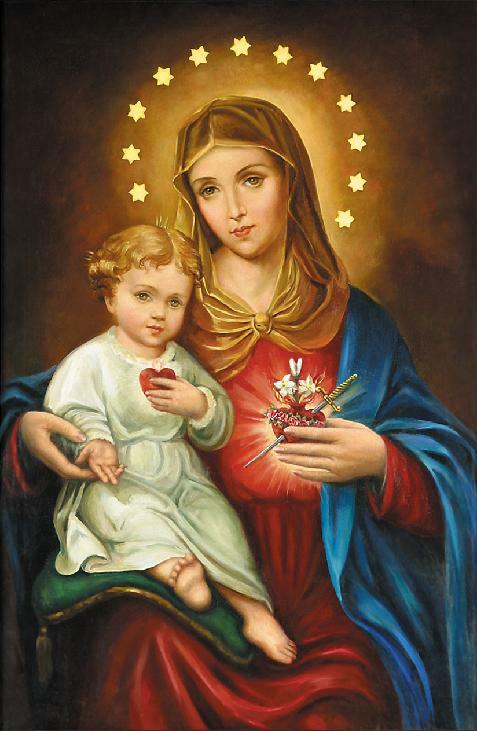 "To be devoted to the Immaculate Heart of Mary means to contemplate this maternal love that the Mother of God injects into the mystery of the Redemption and into the life of the Church. It means to acknowledge therein a more comprehensible and accessible sign of the Father's love. it means to cast ourselves on the heart of Mary, Mother of Christ and Mother of the Church, to live the mystery of the Redemption in all its vivifying depth and fullness and to place ourselves at the service of our brothers and sisters on each. What it means to consecrate ourselves to Mary's Immaculate Heart. 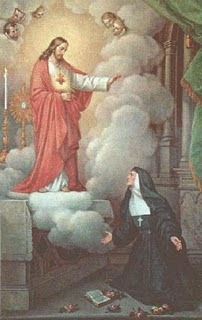 3. a greater facility for and assurance of reaching union with Christ who lives in the Immaculate Heart of His Mother." 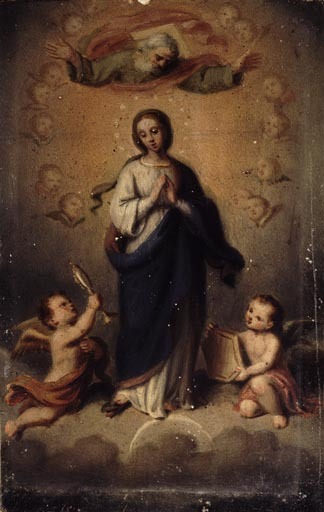 Dictionary of Mary, Catholic Book Publishing. Wow! You can read and see for yourselves here. Mahalo to Mary Jane for sharing. "Will you not watch with Me one Hour?" For public or private recitation. "That the necessity of EXPIATION OR REPARATION is especially urgent today must be evident to everyone who considers the present plight of the world. 'seated in wickedness' (John, v. 9). 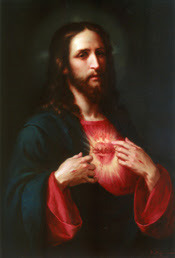 The Sacred heart of Jesus promised to St. Margaret Mary that He would reward abundantly with His graces all those who should render this honor to HIS HEART." 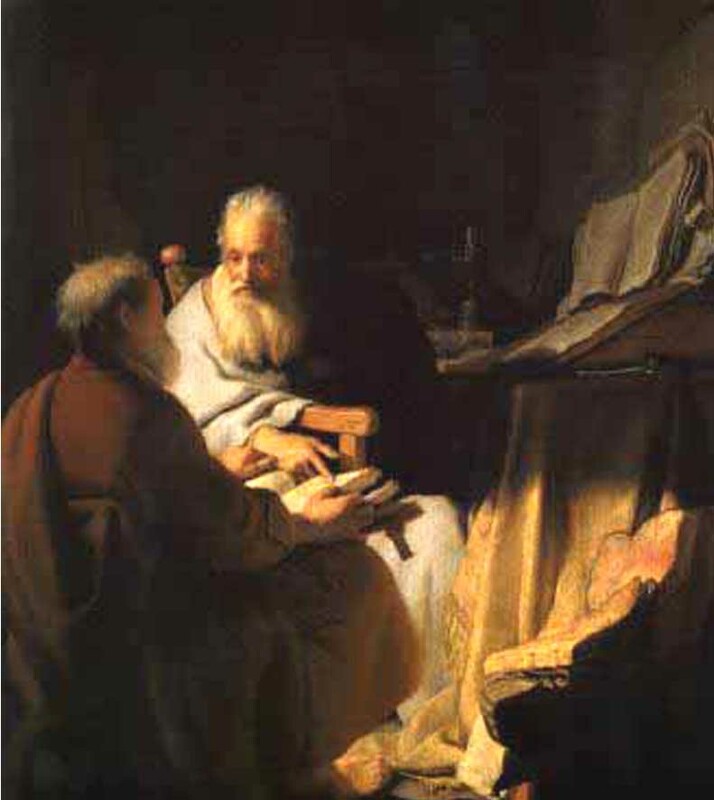 As Jesus spoke to His Apostles, so He pleads with us to stay and watch and pray with Him. 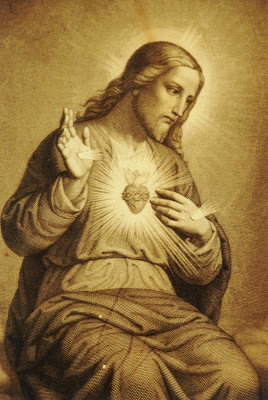 His Sacred heart is filled with sadness, because so many doubt Him, slap Him, accuse Him, condemn Him. 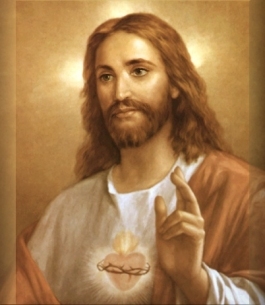 In the Sacrament of His Love, so m any forget Him. 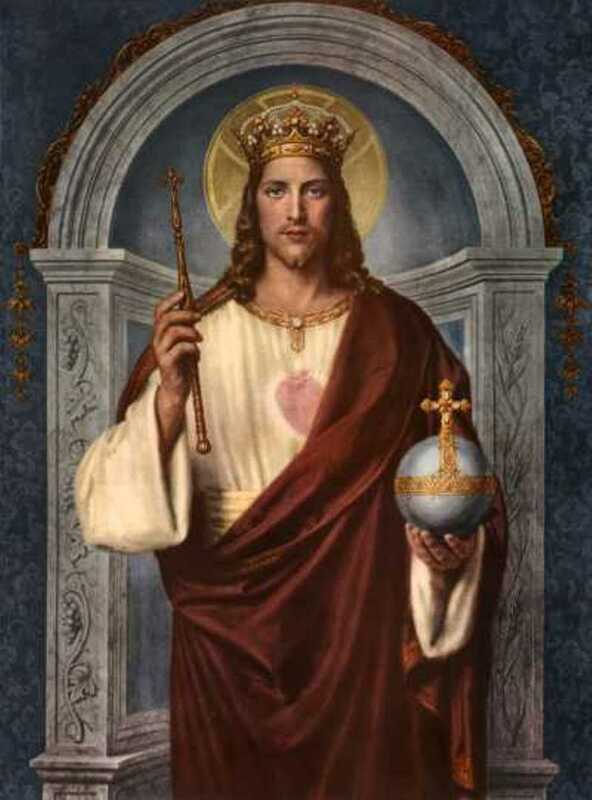 Every mortal sin brings down the terrible scourges on His Sacred Body, presses the sharp thorns into His Sacred Heat, and hammers the cruel nails into His Sacred hands and Feet. 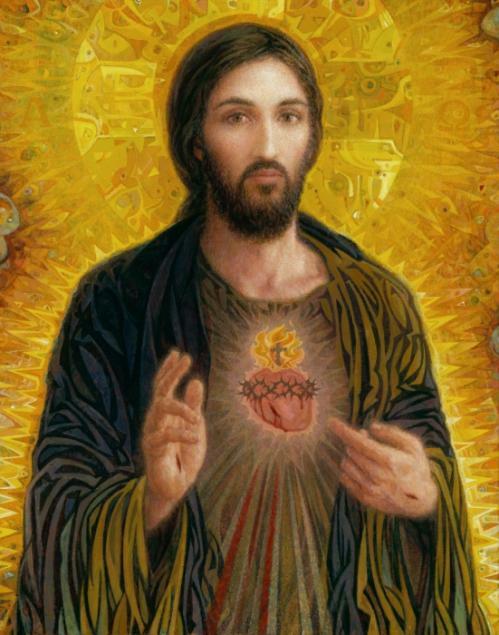 The ingratitude of mankind continually pierces His sacred heart. 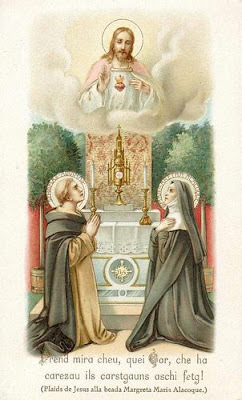 Here Make the intention for the Holy Hour. 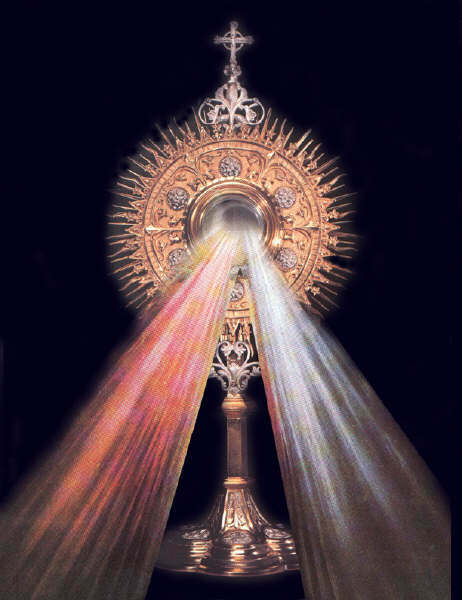 O Sacrament most holy. 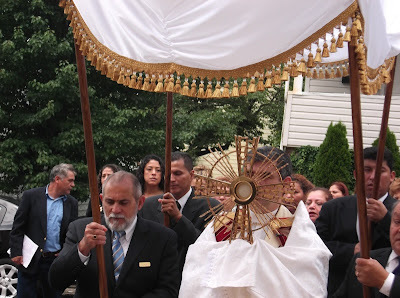 O Sacrament divine! All praise and all thanksgiving to be every moment Thine! Heart of Jesus, I put all my trust in Thee! Oh My God, I am heartily sorry for having offended Thee and I detest all my sins because of Thy just punishments, but most of all because they offend Thee, my God, who art all good and deserving of all my love. I firmly resolve, with the help of Thy grace, to sin no more and avoid the near occasions of sin. O Jesus in the Blessed Sacrament, have mercy on us! My Sweet Jesus, I desire to spend this Hour with Thee, to console Thee, and to make some reparation by the love of my poor heart for the agony Thou didst suffer in Gethsemani. In that lone hour Thou wast forsaken, and the creatures, whom Thou didst create to love Thee, loved Thee not. The weight of all our sins pressed on Thee, and mine as well; and for the sorrow which I caused Thee then by my sins, I will endeavor to repay Thee now by my love. Strength it, my Jesus, that it may in some small measure given Thee consolation. 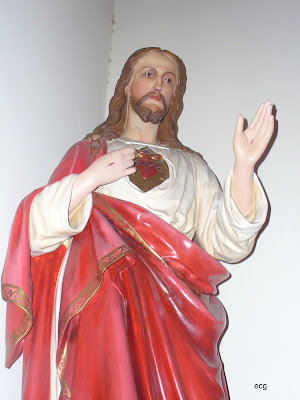 Sacred heart of Jesus, strengthened in Thine agony by an Angel, comfort us in our agony. My Lord Jesus Christ, it is Thy great love for men that keeps Thee day and night in this Sacrament, full of pity and love, expecting, inviting, and welcoming all who visit Thee. 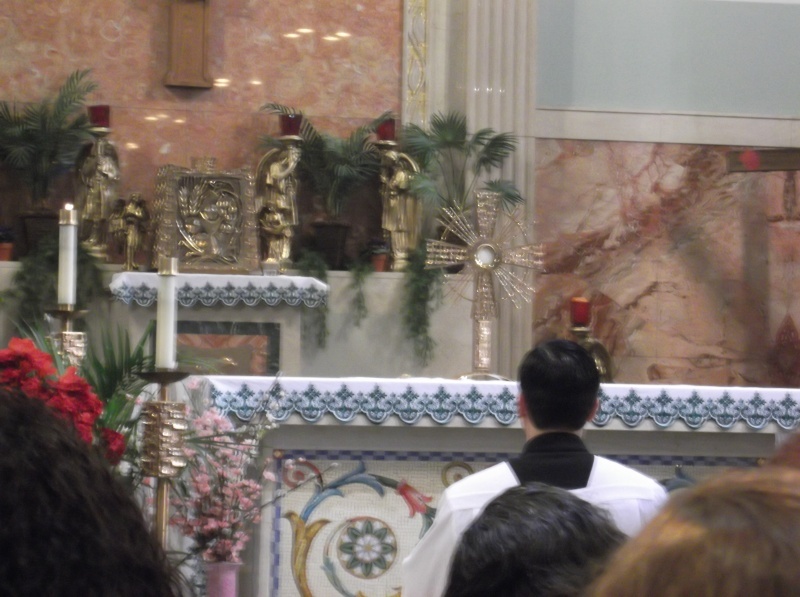 I believe that Thou art really present in this Sacrament of the Altar. From the depth of my nothingness, I adore Thee and I thank Thee for the many graces Thou hast given me especially for the gift of Thyself in this Sacrament, for the gift of Thy most holy Mother as my intercessor and for the privilege of visiting Thee in this Church. I now speak to Thy most loving Heart with a threefold intention: to thank Thee for the gift of Thyself; to atone for all the insults which Thy enemies heap upon Thee in this Sacrament; and to adore Thee wherever Thy Eucharistic Presence is dishonored or forgotten. 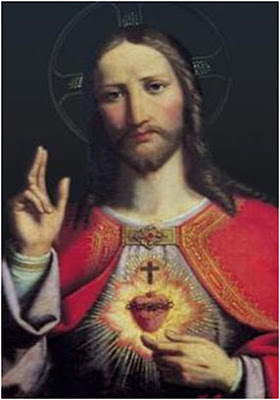 My Jesus, I love Thee with my whole heart. I am very sorry for my ingratitude to Thy infinite goodness. I now resolve with the help of Thy grace never to offend Thee again. 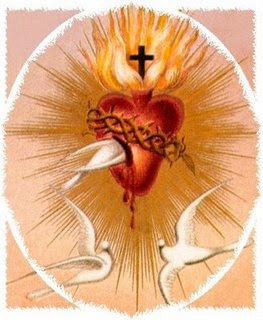 And, sinful as I am, I consecrate to Thee my entire self, my whole will, my affections, my desires, and all that I have. From now on, do with me and mine as Thou pleasest. 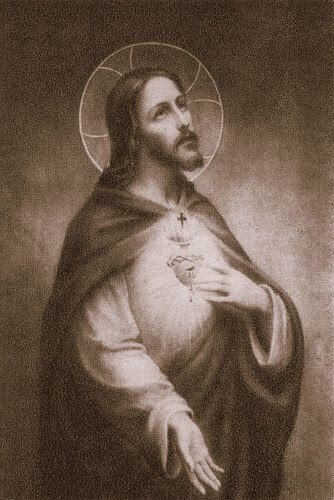 I ask for and desire only Thy love, final perseverance, and the grace always to do Thy holy will. 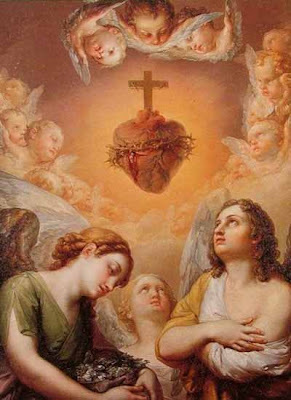 I intercede with Thee for the souls in purgatory, especially for those who were most devoted to the Blessed Sacrament, and to Thy most holy Mother. I recommend to Thee also, all poor sinners. And lastly, my dear Savior, I unite all my desires with the desires of Thy most loving Heart. Thus united, I present them to Thy Eternal Father, and beg Him in Thy Name, and for the love of Thee, to hear and answer them. 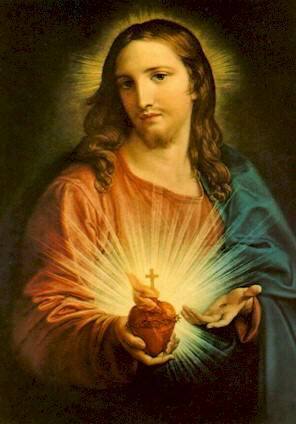 Jesus, meek and humble of heart, make our heart like unto Thine. 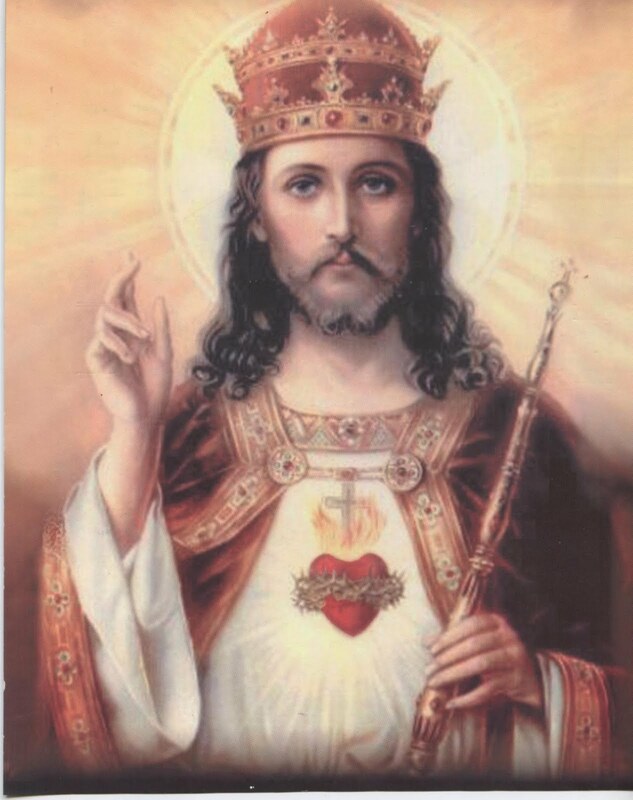 Jesus, I live for Thee. Jesus, I die for Thee, Jesus, I am thine in life and in death. Amen. Ordered by His Holiness, Pope Pius XI, December 11, 1925, for One Fold, One Shepherd. Praise and adoration ever more be given to the most Holy Sacrament! 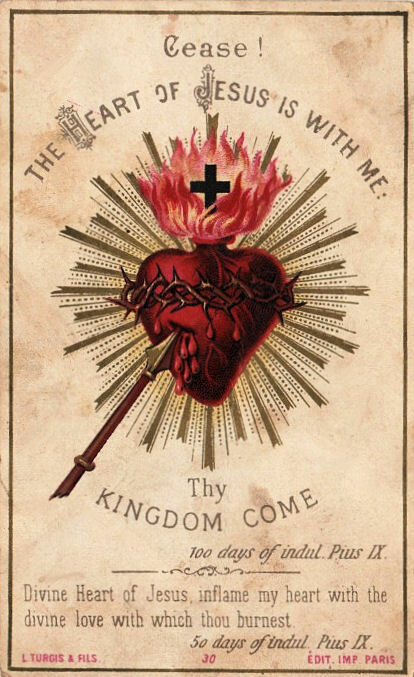 During the remaining time, pray the sorrowful mysteries of the Holy Rosary, silently adore our Lord, truly present in the Blessed Sacrament, offer prayers for the Holy Souls in Purgatory, recall the promises to St. Margaret Mary for devotion to His Most Sacred Heart. 1. Personally consecrate oneself to the Sacred Heart of Jesus, and recite the Consecration Prayer daily - for One Fold and One Shepherd. 2. 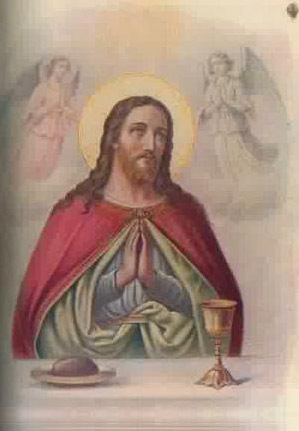 Participate in the Holy Mass and receive Holy Communion daily, if possible - for reparation. 3. 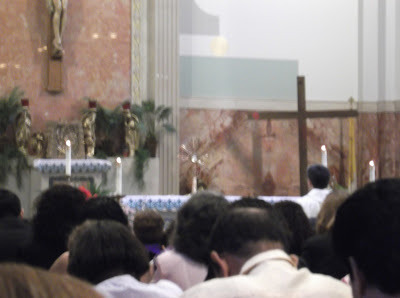 Offer a Holy Hour once a week - for reparation and encourage others to do the same. From Behold My Heart Which Has So Loved Men. "Jesus is always our pacesetter. He leads the way in everything He asks of us. Humility stands out as one of His divine attributes. 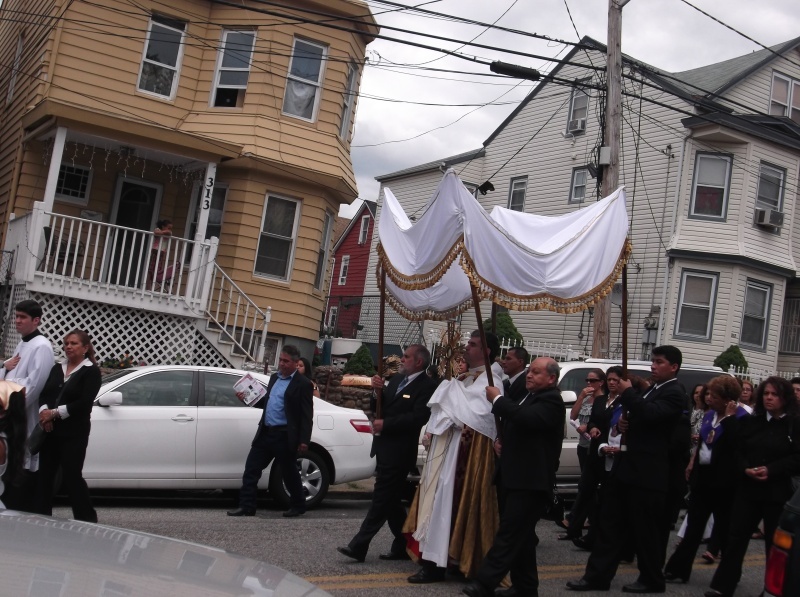 'He humble himself, obediently accepting death, death on a cross.' (Phil. 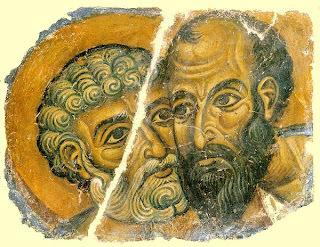 2:8). Paul admonishes us: 'Think humbly of others as superior to yourselves, each of you looking to the other's interest rather than to his own.'" (Phil. 2:3). The Eucharist is a great mystery. Only divine love could have devised such a celestial gift. Truly He is Emmanuel: God with us. However, His presence is a hidden presence. The disciples were restrained from recognizing Him. We likewise, can behold Him only with eyes of faith. When Jesus asked the apostles if they could accept this mystery. Peter answered for all of us: 'Lord, to whom shall we go? You have the words of eternal life." (Jn. 6:68). 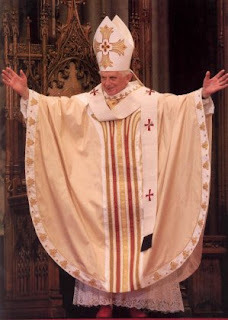 today on the 60th anniversary of his ordination to the priesthood. work to bring more and more souls to salvation. the call to the priesthood. The first two has beautiful Catholic hymns in Spanish. The third one has a benediction. 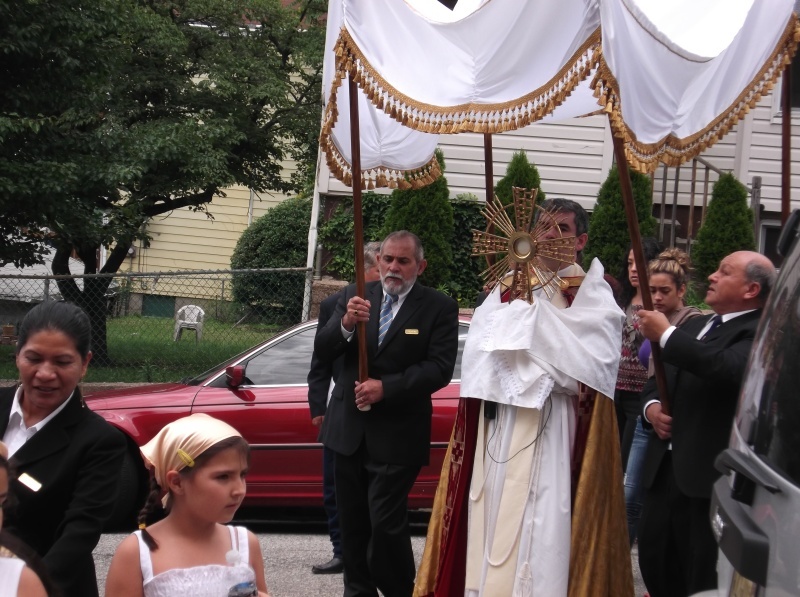 It was a beautiful day for a procession fit for our King. I have been visiting my mother and family in New Jersey. 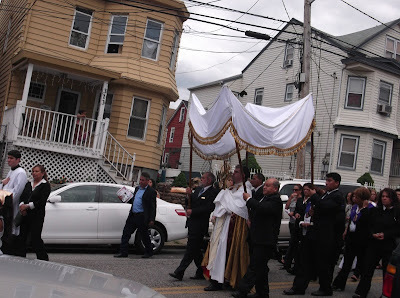 Yesterday we were privileged to accompany Our Lord truly present in the Blessed Sacrament along with many of the faithful, as He processed from Blessed Sacrament Church onto the neighboring streets. 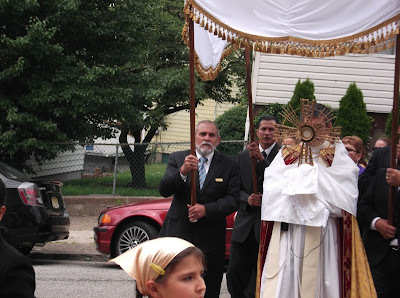 The Feast of Corpus Christi is the feast day of Blessed Sacrament Church. 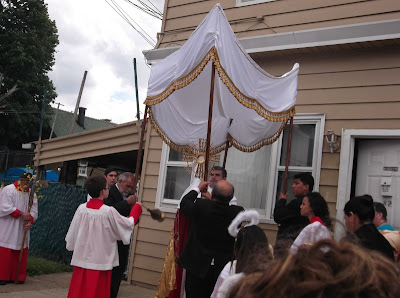 I believe it is a Hispanic tradition to have families who live in the area prepare an altar in front of their house. The Monstrance then stops at these 5 altars (symbolizing Jesus Five wounds perhaps?) 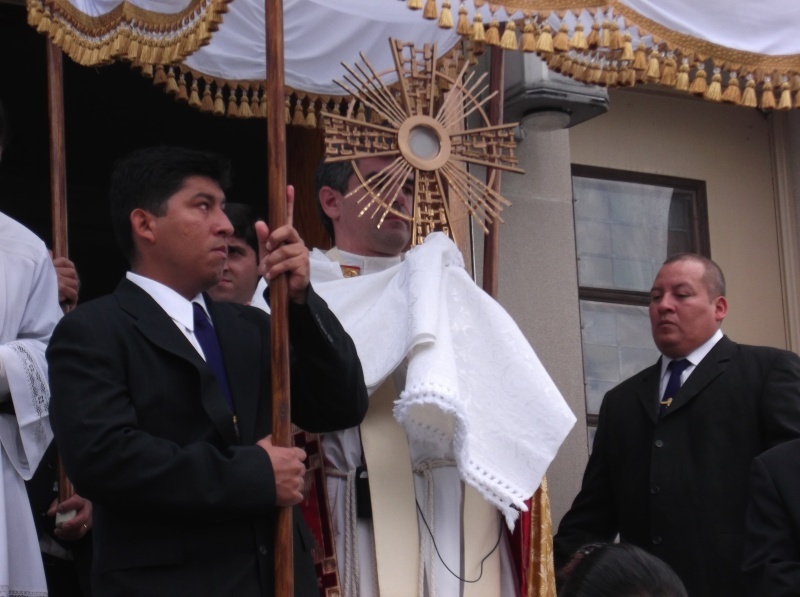 where the Gospel is read and then the priest blesses the people. The first house we stopped was greeted by a beautiful image of El Señor de los Milagros, a beloved and popular Peruvian image of our Lord. The Eucharistic Procession took place at the end of the Mass but before the final prayer. 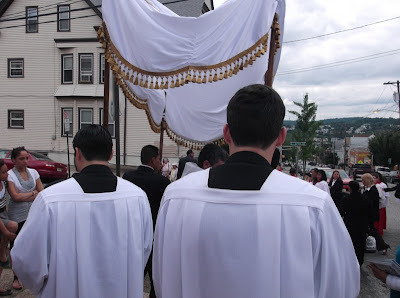 After processing out onto the streets, we were instructed to return to the Church for the Benediction and the final blessing. 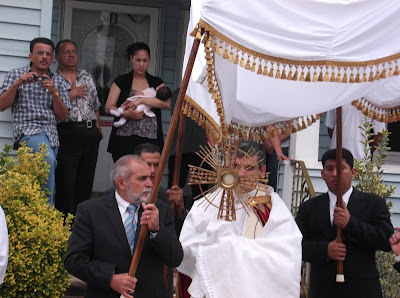 Legionaries of Christ, Padre Ortega was the celebrant and the priest who carried the Blessed Sacrament. 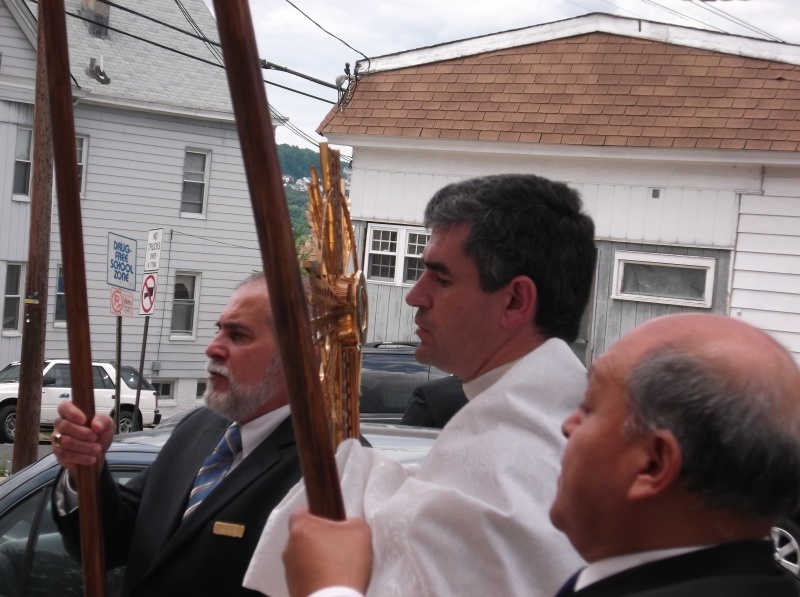 It was lovely to come home to this parish, which happened to be the very first church my family belonged to when we arrived from Peru. Note: Blessed Sacrament Parish will also be celebrating the 100th anniversary this October.